Welcome back! This portion of my interview with Matthew Nelson is breathtakingly honest. He talks about NELSON’s loyal fanbase, as well as his three wishes for LIGHTNING STRIKES TWICE. Some of his comments will surprise you. Matthew also mentions that he’s interested in learning more about social networking. Share your thoughts about creative outreach through new technologies below. 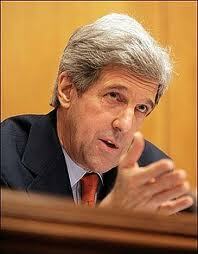 And who knows – maybe you’ll be the one who gets to chat further with Matthew about this hot topic. Caitlin McCarthy (CM): I saw NELSON play 20 years ago at the Citi Club in Boston. I remember your brother Sam was in the audience. 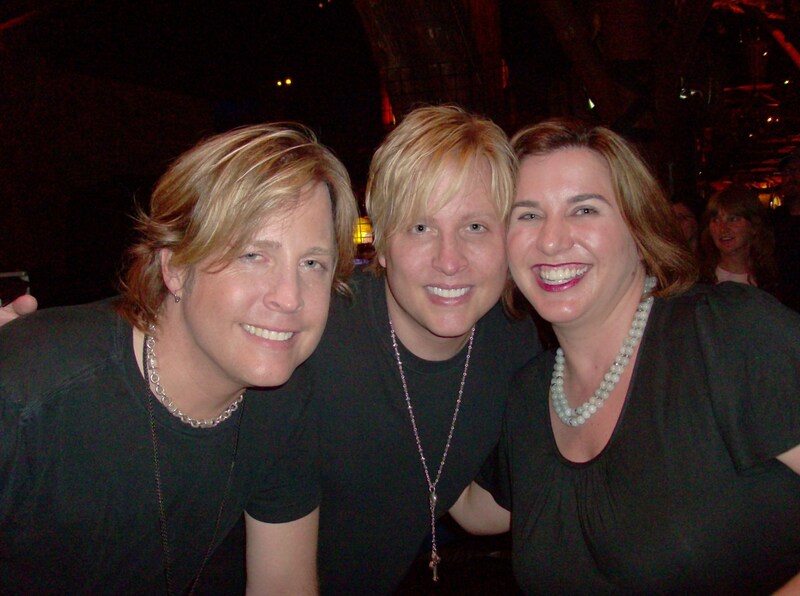 Matthew Nelson (MN): Oh wow! I remember that show. MN: Was it pink or green? MN: You still have it? 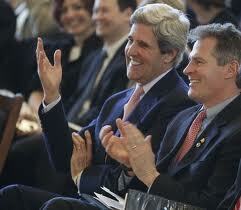 MN: I remember the Citi Club. That’s the weird thing. I still remember every show I’ve played. 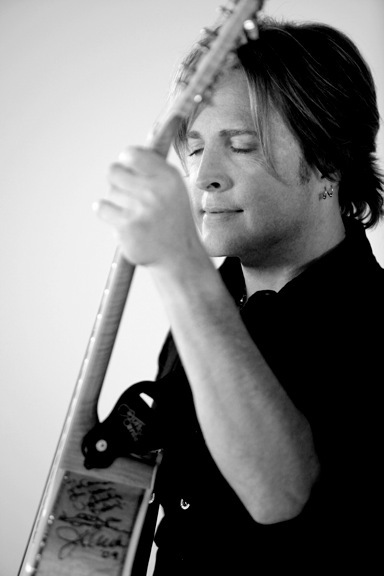 Still to this day, it doesn’t matter what kind of music I’m doing or what style – a NELSON rock show, a SCRAP METAL show, or a RICKY NELSON REMEMBERED tribute show – I remember every audience at every show. I think that’s the coolest thing. Longtime readers here know that I am unabashed NELSON fan. Last year, I wrote a post about them deserving a second look, and also covered SCRAP METAL, the celebrity rock supergroup cofounded by Gunnar Nelson. This year has been extremely busy and rewarding for NELSON. 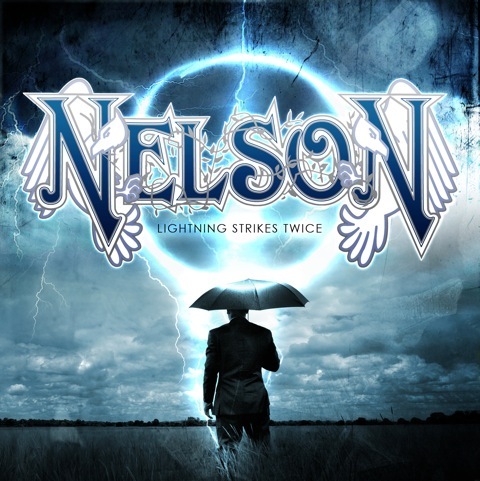 On February 15, 2011, the Frontiers Records label released not only a brand new NELSON album, LIGHTNING STRIKES TWICE, but also two rare classic catalogue offerings: BEFORE THE RAIN; and PERFECT STORM – AFTER THE RAIN WORLD TOUR 1991 in North America. 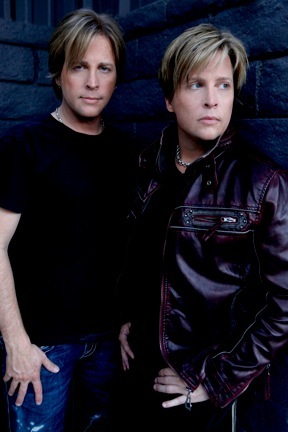 The new album LIGHTNING STRIKES TWICE finds twin rockers and frontmen Matthew and Gunnar Nelson seamlessly picking up where they left off with their multi-platinum debut AFTER THE RAIN, which sold nearly 7 million albums worldwide and featured the #1 smash hit single “(Can’t Live Without Your) Love And Affection.” That hit single made history, landing America’s iconic Nelson family (bandleader Ozzie Nelson, rock legend Rick Nelson, and twins Matthew & Gunnar) in the Guinness Book of World Records as the ONLY family in Entertainment with three successive generations of #1 hitmakers. NELSON fans from the 1990s remember when the AFTER THE RAIN record and tour became a phenomenon just prior to the rise of grunge. The last major success of the good time rock’n’roll era, NELSON has had one Number One, four Top Ten, and five Top 40 Billboard Hot 100 hit singles, plus five #1 MTV videos and has sold over 6.5 million albums worldwide. 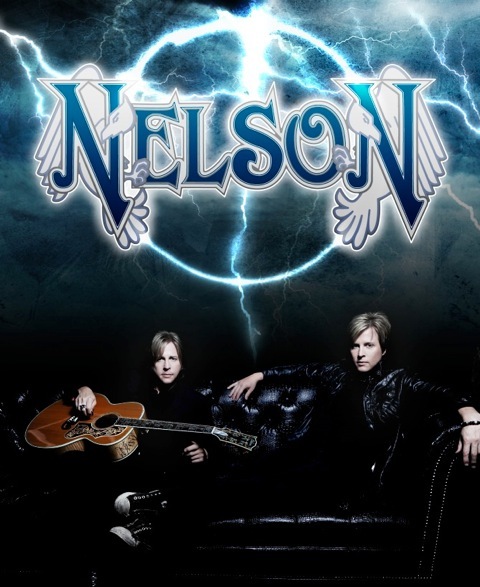 NELSON recently headlined major rock festivals around the globe celebrating the 20th anniversary of AFTER THE RAIN, touring in China, the U.K., and of course the U.S., where they have also toured extensively with Peter Frampton and Styx. Matthew Nelson graciously did a phone interview with me to discuss all things NELSON. His honesty about LIGHTNING STRIKES TWICE, the music industry, and NELSON’s much-appreciated fans was so refreshing that this post has been turned into a three part feature on NELSON. You’ll notice below that Matthew is quoted extensively. I transcribed exactly what he said. It was like participating in a Master Class on music and made me think of Peter Bogdanovich, who is renowned for his thoughts on film. So without further adieu, I give you Part One. 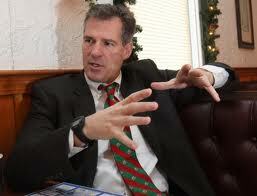 NELSON fans, imagine Matthew talking directly to you.…I know. I died, too! Caitlin McCarthy (CM): Many people forget that you and Gunnar were incredibly young when AFTER THE RAIN came out and achieved massive success. 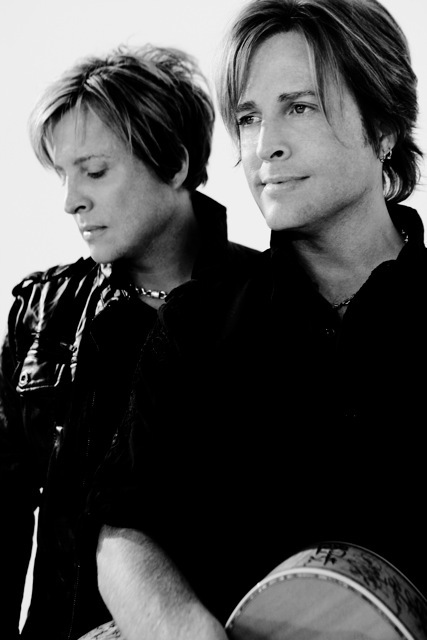 The two of you are still young, but already seasoned veterans in the music industry. How are you “wiser” about the music industry? What were some of the biggest lessons learned? Matthew Nelson (MN): Oh my god. That’s a senior thesis for a book. (Both Matthew and Caitlin laugh.) I mean, there’s so much I’ve experienced. (Pause.) Wow. Well, that’s a heavy one. One of Caitlin’s DES posts for our blog was linked by the Huffington Post‘s own Diana Bianchini, who wrote about Caitlin and the DES apology effort, reaching a worldwide readership. This week’s letter from the FDA breaks new ground and will have political and legal ramifications that are likely to help DES victims around the world. DES UPDATE from Caitlin McCarthy (Note: this Post follows up on Caitlin’s previous DES posts, including her post that was linked by the Huffington Post; congrat.s to Caitlin for drawing national attention to this cause). Many thanks to everyone in the offices of Senator Kerry and Senator Brown, who spent many months working together to make this acknowledgement happen. Our Celebs in Disgrace film was accepted into FirstGlance Hollywood film competition! It all started with her crush on Jim Morrison. Longtime readers of our blog remember how writer/poet/artist Linda K. Sienkiewicz (left, with bags!) has explored her Jim Morrison obsession in art, poetry and blog posts. 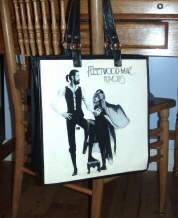 Linda has expanded her love of Jim and other authors and rockers into a rocking line of Rokki Bags. 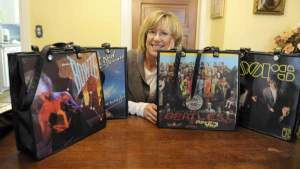 Linda writes that “people who buy my purses are passionate fans of either of a rock star, musical group, or an author!” Sounds like our blog readership. 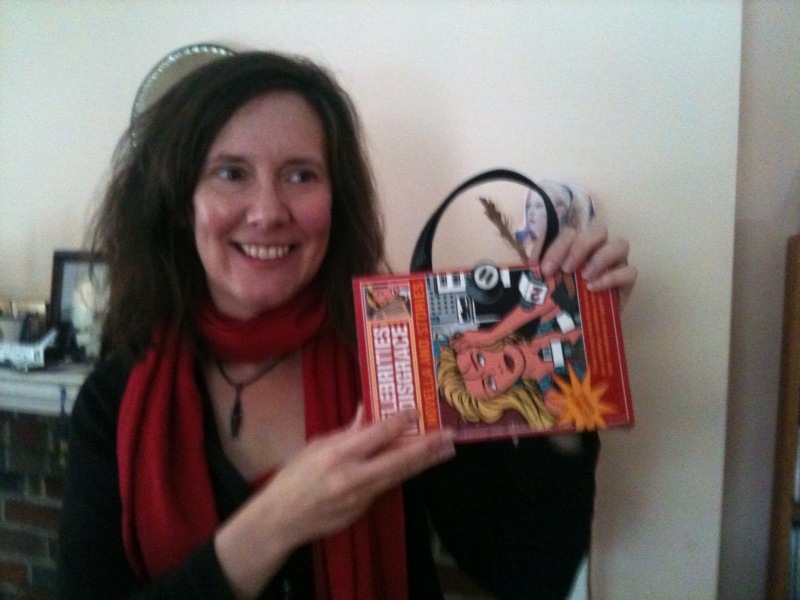 Linda surprised me recently with a handbag made from my own Celebrities in Disgrace book cover. I asked Linda to describe her process (see below). Rock on, Linda! 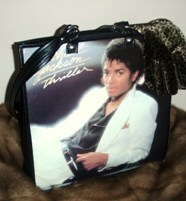 The album cover handbags are created from actual record album sleeves, using both sides to make up the front and back of the purse. Beyond the music, I find the art and photography has an artistic history of its own. Recycling these covers into something you can show off is honoring what otherwise might be lost forever. The altered book purses are a great way to express your literary side, or your inner geek, whichever you prefer. They are a form of altered book art. All books are second-hand, obtained from library used book sales or rummage and garage sales, or directly from authors. Pages are recycled. I never cut up antique books. I sell them from my website and Etsy store. I also have a facebook page where I post updates, coupons and specials. 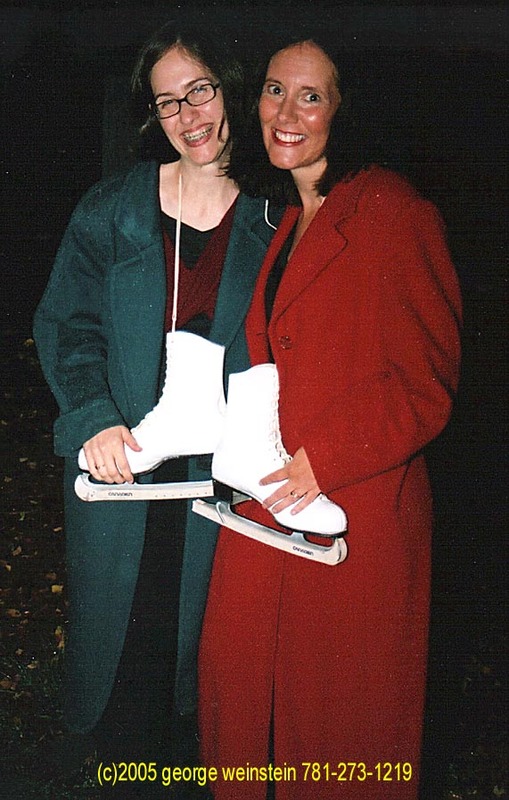 Big thanks to all who made the newest version of Tonya & Nancy: The Rock Opera truly rock. We were thrilled to play to big and enthusiastic crowds at the ART”s Oberon Theater this week, with dynamic direction by Janet Roston, fabulous music by Michael Teoli and a truly awesome cast, headed by Kristen Lee Sergeant & Darcie Champagne, rocking the lead roles. 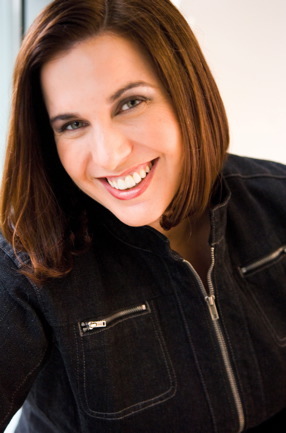 We were happy to receive coverage from The Boston Herald, The Boston Phoenix, FOX25 TV and more– plus wonderful words of praise from cool author Steve Almond on WGBH Boston, the Emily Rooney Show. Thanks to Steve! 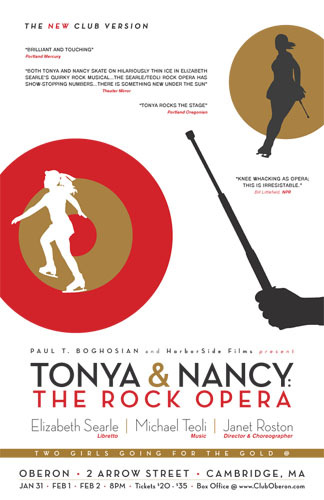 I am proud to have written the libretto for the rock opera and to have come up with the concept of doing Tonya & Nancy as ‘opera’. This new show is based on a one-act chamber piece, Tonya & Nancy: the Opera, with libretto by me and music by super-talented Abigail Al-Doory Cross. Photos and updates from the Rock Opera will follow but for now, enjoy this YouTube teaser created by my gifted videographer brother Bill Searle of Cholla Productions. Watch our Facebook Events page for updates. Cheers to all involved and skate happy!